Our product range includes a wide range of non ferrous metal casting. Ever since foundation stone of our firm has been laid down, we have been offering a huge assembly of Non Ferrous Metals Casting. 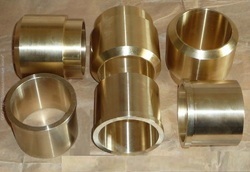 Our organization is topmost in providing an excellent range of Non Ferrous Material.